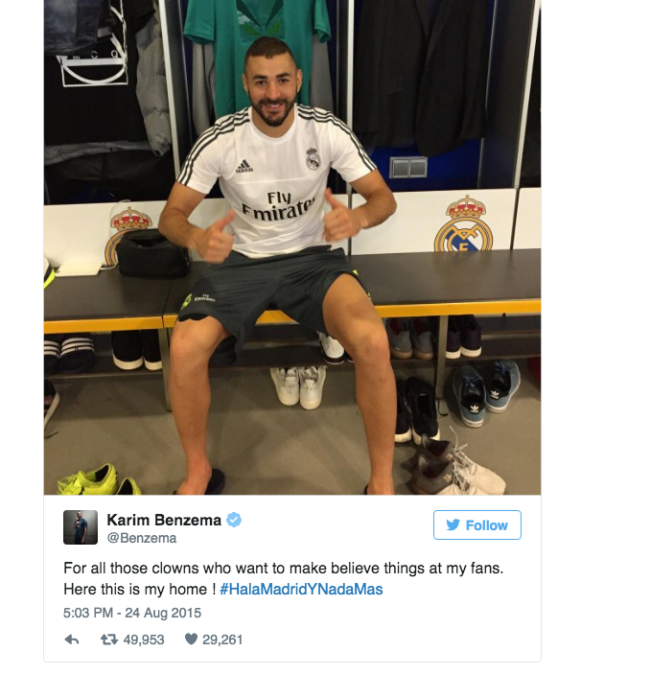 Transfer balls: Arsenal target Karim Benzema set to make transfer to England, says Jamie Sanderson. Sanderson writes for the Metro. 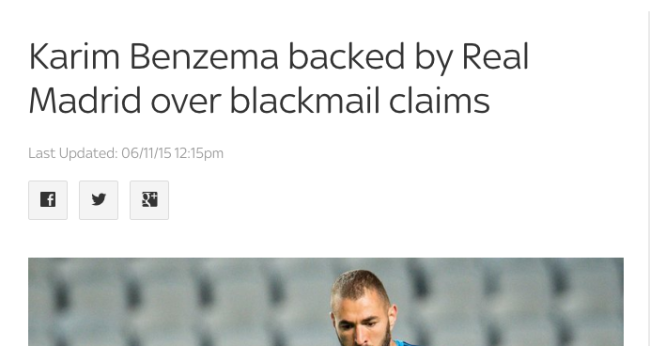 He told us that Benzema has already joined Arsenal – which he hasn’t. Fichajes says he’s set to be moved on in the coming months following news he’s been charged in a blackmail plot against Lyon star Mathieu Valbuena. It’s claimed that Madrid feel he’s damaged the club with a series of incidents, including this one involving Valbuena, and he’s now likely to move to England. 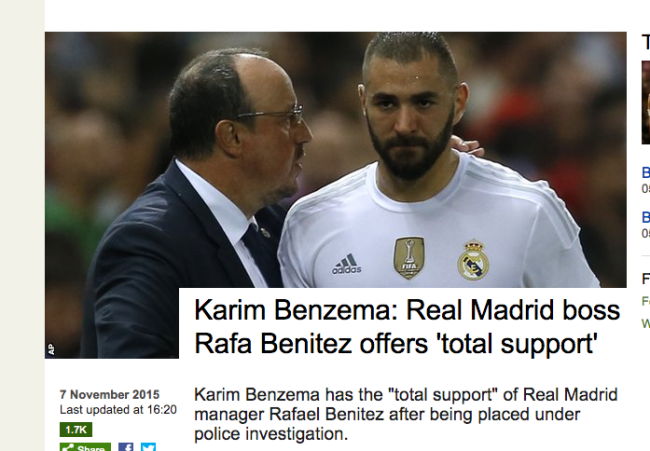 Number of quotes from Madrid players, staff, fans or even unnamed ‘sources’ in the Fichajes story: none. The Metro carries on regardless.